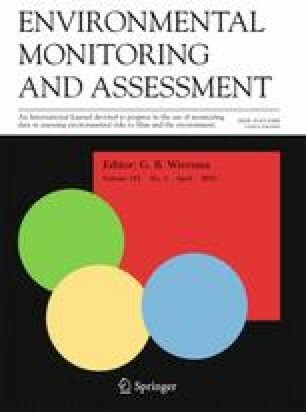 The impact of climatology—air temperature, precipitation and wind speed—and road traffic—volume, vehicle speed and percentage of heavy-duty vehicles (HDVs)—on air quality in Madrid was studied by estimating the effect for each explanatory variable using generalized linear regression models controlling for monthly variations, days of week and parameter levels. Every 1 m/s increase in wind speed produced a decrease in PM10 concentrations by 10.3 % (95 % CI 12.6–8.6) for all weekdays and by 12.4 % (95 % CI 14.9–9.8) for working days (up to the cut-off of 2.4 m/s). Increases of PM10 concentrations due to air temperature (7.2 % (95 % CI 6.2–8.3)) and traffic volume (3.3 % (95 % CI 2.9–3.8)) were observed at every 10 °C and 1 million vehicle-km increases for all weekdays; oppositely, slight decreases of PM10 concentrations due to percentage of HDVs (3.2 % (95 % CI 2.7–3.7)) and vehicle speed (0.7 % (95 % CI 0.6–0.8)) were observed at every 1 % and 1 km/h increases. Stronger effects of climatology on air quality than traffic parameters were found. This study was supported by the European Research Council (Grant 246565) in the framework of the Marie Curie UNITE project and through the program for contracting experienced researchers for scientific and technological research (COFUND, Seventh Framework). Thanks to the Municipality of Madrid for providing air quality and road traffic data.